Drumtek and Drumscene Magazine are proud to announce the exclusive and first BLICHER HEMMER GADD Australian Tour! 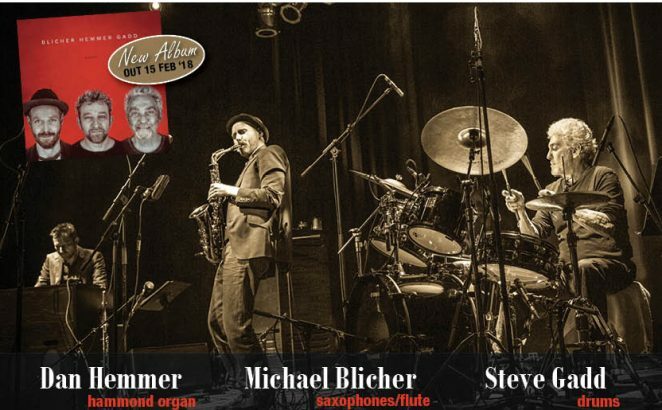 THE world’s greatest drumming legend Steve Gadd, known for his collaboration with Paul Simon, Steely Dan, Eric Clapton, Chick Corea and James Taylor, among others, is soon to embark on an 8-show Australian tour in February 2018, featuring; Saxophonist, Michael Blicher and Hammond Organ wizard, Dan Hemmer. Australian fans will experience this extraordinary band perform music from their brilliant new album ’OMARA’, including classic tracks from their debut album ‘BLICHER HEMMER GADD’ and much more! BLICHER HEMMER GADD (BHG) formed in 2014 and toured all over Europe and Scandinavia. BHG’s second album ‘OMARA’ was recorded live in Germany, England and Denmark during their 2016 tour and this album is a collection of the finest and most hard-swingin´ moments. BLICHER HEMMER GADD ‘OMARA’ Australian Tour will be a once in a lifetime experience for all music lovers. On a day when our own record industry awards were being presented, on the other side of the world the 2018 Grammy Award nominations were being revealed. While NZ pop queen Lorde was performing and presenting in Sydney, in the USA she was nominated for Album of the Year for her record Melodrama. 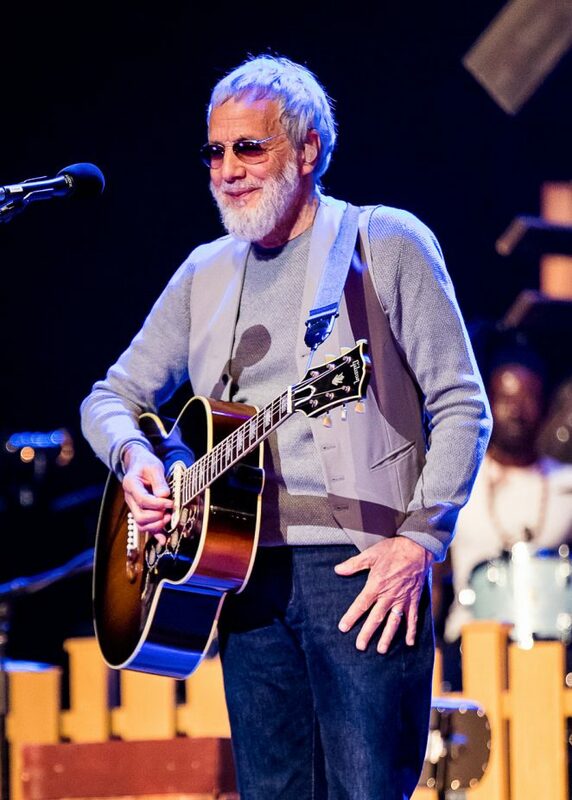 Fresh from his show at Rod Laver Arena last night Cat Stevens would have been thrilled to learn that he too got a nod for Best Folk Album for The Laughing Apple. 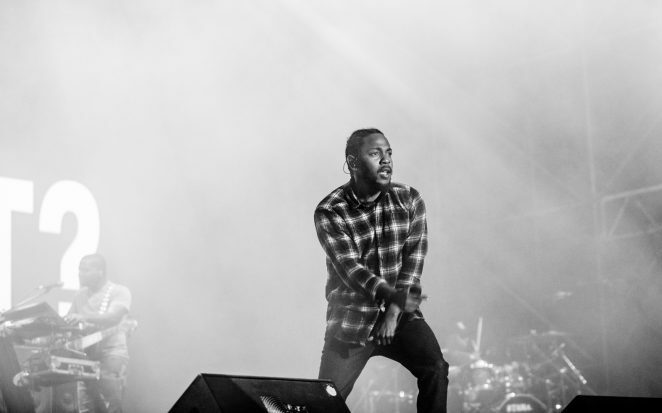 Kendrick Lamar, Jay Z, Bruno Mars and Childish Gambino were the major recipients of nominations, fighting it out in the Album of the Year and Record of the Year categories. The 60th Annual Grammy Awards ceremony will be held on January 28, 2018 at Madison Square Garden in New York City. Gang Of Youths, AB Original, Amy Shark and Paul Kelly were the toast of the town last night at the ARIA Awards, claiming most of the major awards between them. Lorde provided one of many performance highlights on the night, singing two tracks, Liability and Green Light from her Grammy Award nominated album Melodrama. Daryl Braithwaite was his usual humble self in accepting his Hall of Fame recognition, before Vera Blue and Guy Sebastian joined him on stage to sing his monster hit The Horses. One of the most deserving winners on the night was Renee McCarthy of Woodcroft College, Morphett Vale SA, who won the inaugural Music Teacher of the Year award. Paul Kelly was joined by habitual award winner AB Original, Dan Sultan and Short Black Opera for a stirring Dumb Things. 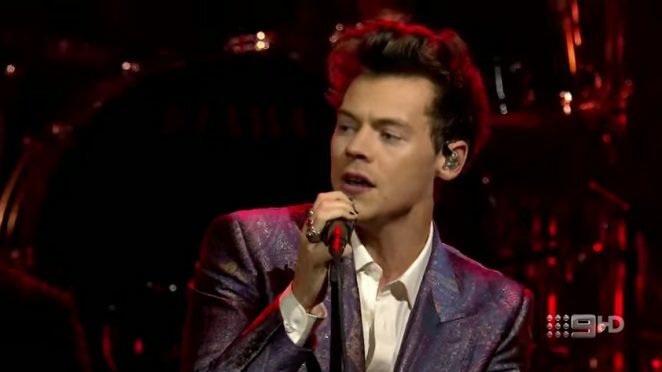 UK pop star Harry Styles, sans boy band played a tune called Kiwi, and in a fitting tribute to the recently passed George and Malcolm Young, Jimmy Barnes led a rockin’ band featuring Diesel and Davey Lane in a spirited version of AC/DC’s High Voltage to wrap up the night. Jimmy Barnes – Och Aye the G’Nu! In an era when music is divided between reality TV such as “The Voice’ and self produced ‘YouTube’ sessions, there was once a time when all you had was a voice and a guitar which really meant something. 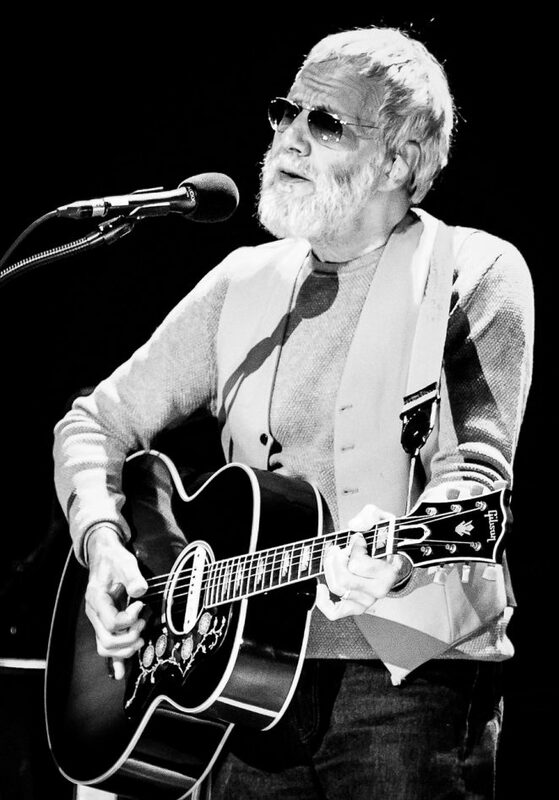 If you were a teenager in the late 60’s and 70’s then Cat Stevens was that something. 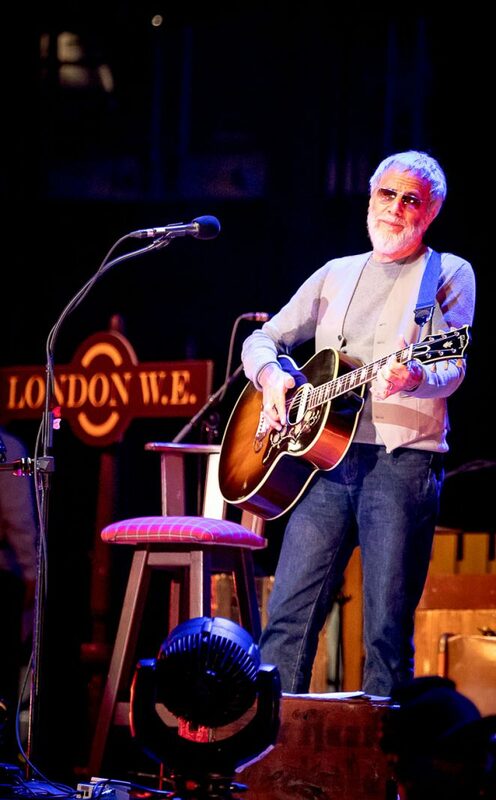 The Rod Laver Arena stage was set with a backdrop of a London train station, where Cat Stevens, or Yusuf as he is now known, accompanied by his fabulous ensemble, began to take his audience on a musical journey from his early years with songs including ‘Where do the Children Play’, ‘Miles from Nowhere’ and ‘Moonshadow’. 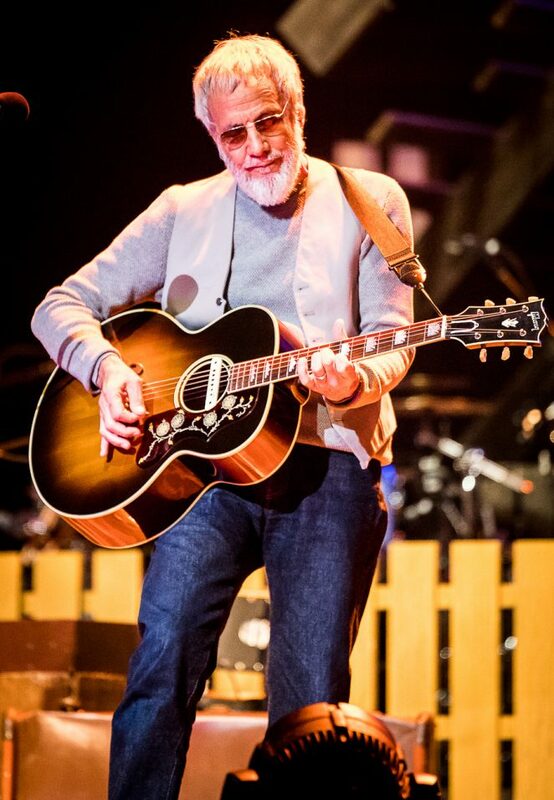 The second set revealed a recreation of his attic, where he grooved to the sounds of the Beatles and The Everly Brothers, his early musical influences. 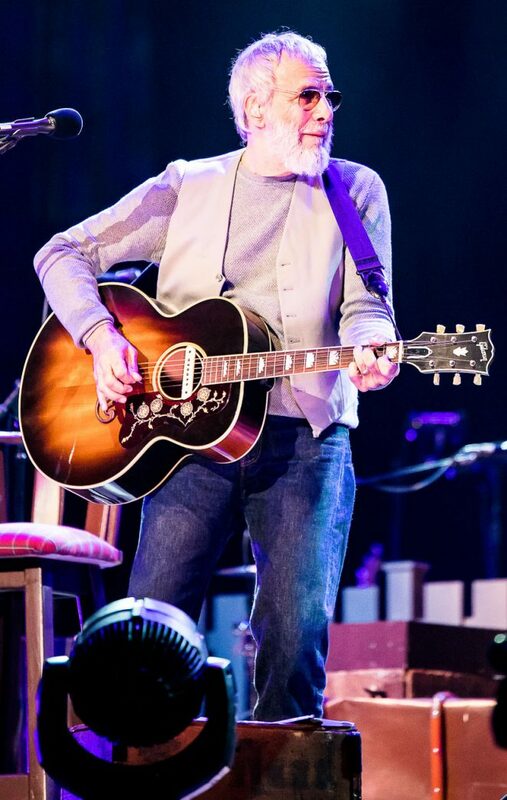 Highlights included ‘Sad Lisa’, ‘Matthew & Son’, ‘Tea for the Tillerman’, ‘On The Road To Find Out’ and ‘Father and Son’, with the final encore ‘Morning has Broken’. 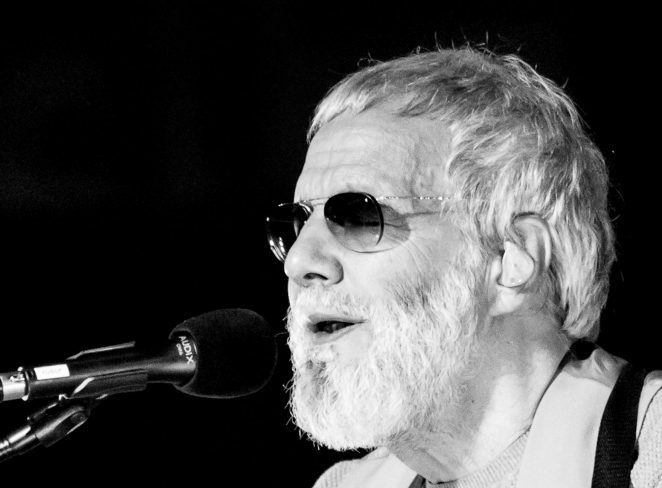 The show was interspersed with Yusuf’s stories and warm anecdotes, giving a feeling of personal connection, further enhanced by stunning photographic and illustrated backdrops complimenting each piece. 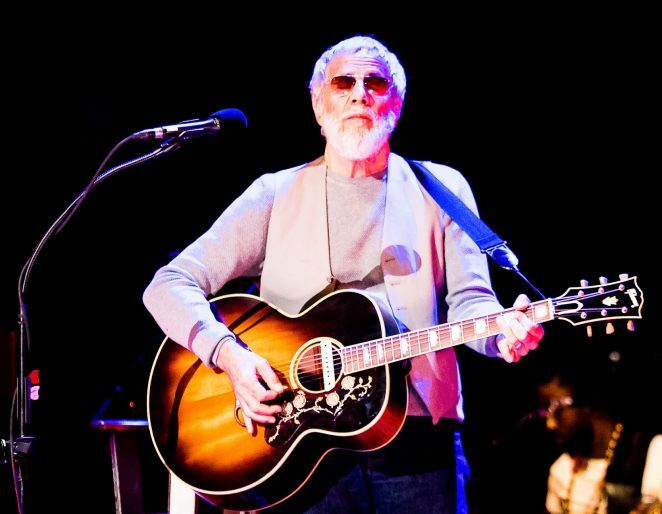 Yusuf thrilled his rapt audience with one iconic song after the other, including one or two from his latest album. There was a taste of the blues, a dash of reggae and a splash of bouzouki in the mix, all deepening the richness of the experience. This was certainly a concert with songs of the past that have profound relevance in the present and that should resonate well into the future. After all, we are living in a ‘Wild World’ and we need that ‘Peace Train’ more than ever.